Granulosa cell tumors are rare tumors that can develop on the ovaries. There are two types of the disease - juvenile and adult. Researchers from the Aegean Obstetrics and Gynecology Training Hospital in Turkey aimed to reveal factors contributing to disease recurrence in a recent study. 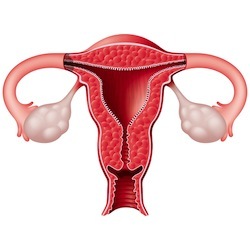 Between 1990 and 2007, 43 patients presented with granulosa cell tumors on the ovaries. Surgery was used to treat all patients, but 37 chose radical surgery that left them infertile. Six patients showed an interest in parenting, so more conservative surgery was used to preserve fertility. All 6 patients that received conservative surgery were diagnosed with early-stage granulosa cell tumors. Chemotherapy was used in 18 cases to fend off further spread of the tumor after surgery. Nine patients suffered recurrence - 8 adult cases and 1 juvenile case. The span of time between treatment and recurrence stretched from 15 months to 122 months with a mean recurrence time of between 55 and 87 months. Stage of the disease at the time of treatment appeared to be the only factor in recurrence and lifespan. Five-year prognosis for stage 1 and stage 2 granulosa cell tumor patients was 96.77% and 66.67%, respectively. Source: Oztekin D, Kurt S, Camuzcuoglu H, Balsak D, Dicle N, Tinar S. Granulosa cell tumors of the ovary: review of 43 cases. J BUON. 2012 Jul-Sep;17(3):461-4.